Petunia Mapepha was working as a volunteer at the South African Police Service when one day she began experiencing headaches, dizziness and an eventual loss of vision. An appointment with an ophthalmologist and an unsuccessful operation later, Petunia turned to Blind SA for help. The Rehabilitation department warmly received her request and she soon began counselling with one of our Orientation and Mobility practitioners. Her desire to care for herself and her two children helped speed up her road to independence. 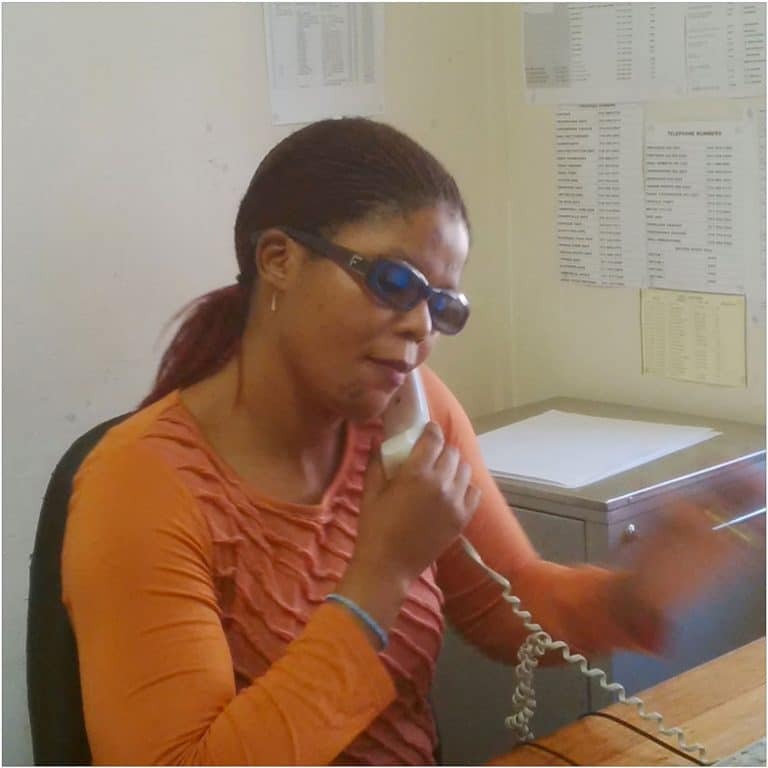 Blind SA also sent her to Optima College to do switch board operator course and now she’s back at the police station working as a temporary switch board operator while she looks for a full time position. Petunia is managing very well and is even able to encourage other newly blind people on how to deal with their condition. New library e-book service an "historic event for blind people"
Blind SA - Copyright 2018.